Yesterday, after having her hair done and watching a Christmas video, 116-year-old Besse Cooper passed away in Monroe, Georgia. "With her hair fixed it looked like she was ready to go," her son said. It sounds like a peaceful way to say goodbye. According to USA Today, the title of world's oldest person now belongs to 115-year-old Dina Manfredini, of Johnston, Iowa, Young said. 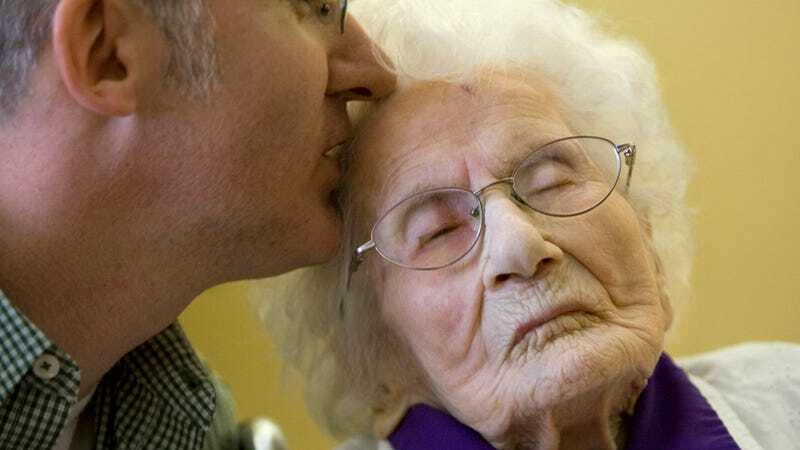 The oldest known person of all time was Jeanne Calment, a French woman who lived to be 122 years old and died in 1997. Born in Tennessee, Cooper moved to Georgia during World War I to look for work as a teacher. According to math, Cooper would've been 24-years-old when women won the right the vote. Cooper was born in a world where women couldn't cast a ballot and now there's Hilary Clinton, Barbara Lee, Tammy Baldwin. Who knows where we'll be in another 116 years? We've still got a long ways to go. But it's pretty amazing. As Bert Cooper says, "She was an astronaut."